Richard II (see here and here), reigned 1377-99. Alleged to have been gay lover of Robert de Vere, 9th Earl of Oxford (see here). The play Richard II (and here) by Shakespeare, spans 1398-1400.
mar Edmund Mortimer, 3rd Earl of March and had issue. John of Gaunt, Duke of Lancaster. 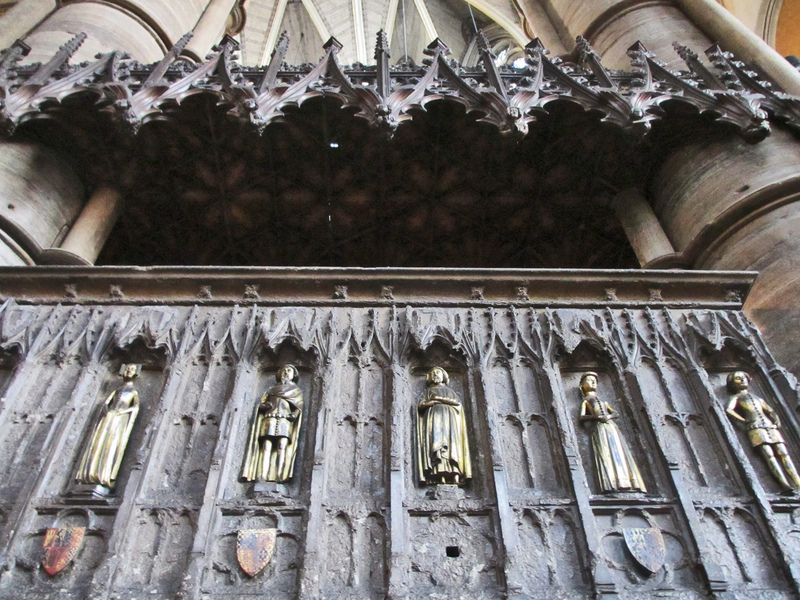 Ancestor of Houses of Lancaster and Tudor. He was born Mar 1340, Saint Bavo's Abbey, in Ghent, Belgium (hence his name, of "Gaunt"). Saint Bavo's Abbey was destroyed in 1540. Today there is a garden on the site, with bushes marking out the shape of the vanished church. See satellite view and street view and Wikimedia Commons. mar Thomas le Despencer and had issue. 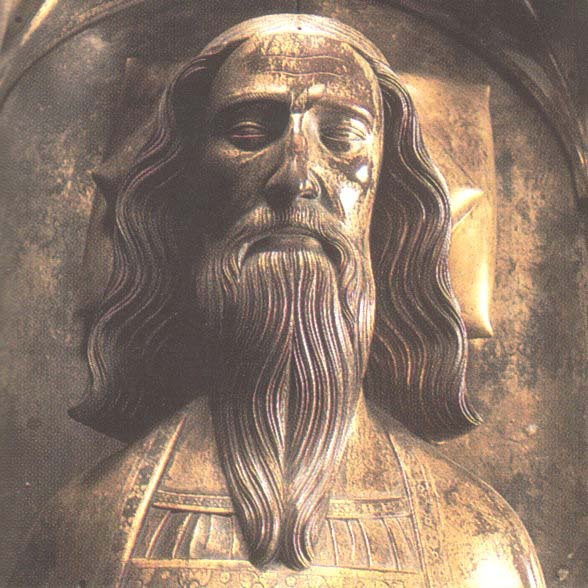 Richard Plantagenet, Earl of Cambridge, born 1385. Ancestor of House of York. mar Edmund de Stafford, 5th Earl of Stafford and had issue. 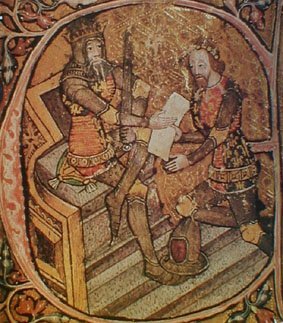 14th century manuscript depicting Edward III (seated) and his son the Black Prince (kneeling). Ones we have descents from are highlighted in bold. 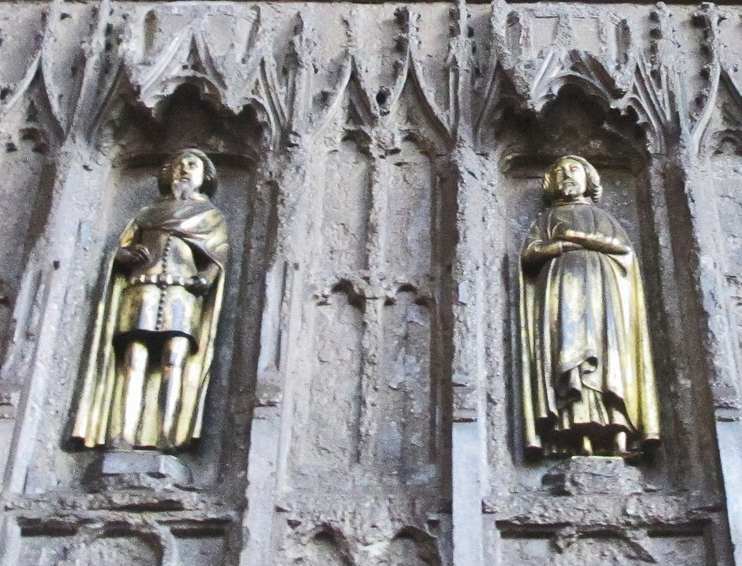 On Edward III's tomb, Westminster Abbey, are these figures of his children. 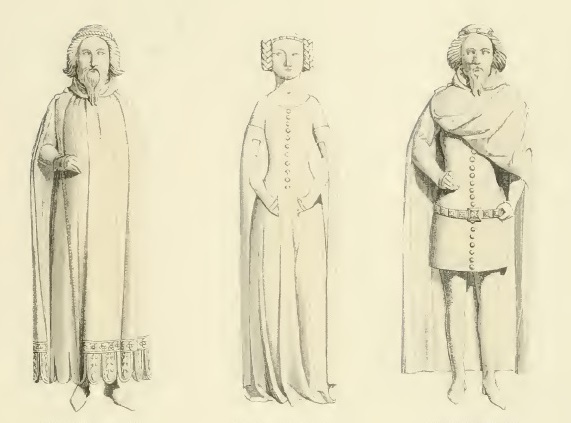 Page 101 of [Brayley, vol.2, 1823] gives these as, left to right: Edward, Joan, Lionel, Edmund, Mary, William. Photos in 1924 survey, however, are labelled, left to right: Lionel, Joan, Edward, Edmund (? ), Mary, William (?). Figures of Edward III's other children were on the other (inner) side of the tomb, but vanished even before the time of [Brayley, 1823]. The LHS three. 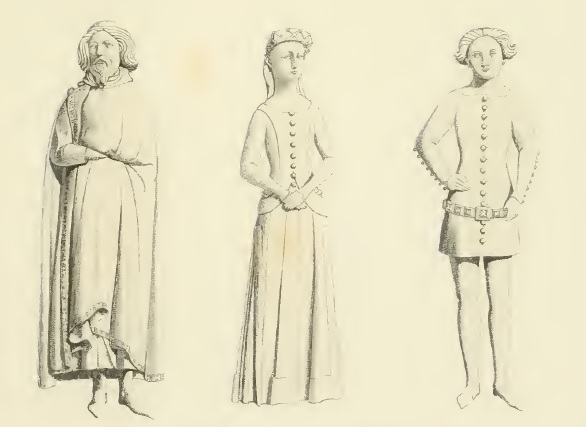 From Part 2 of The monumental effigies of Great Britain, Thomas Hollis and George Hollis, 1840-41. The RHS three. From above. Based on Hollis's Monumental Effigies. The Great Gate, at Trinity College, Cambridge. 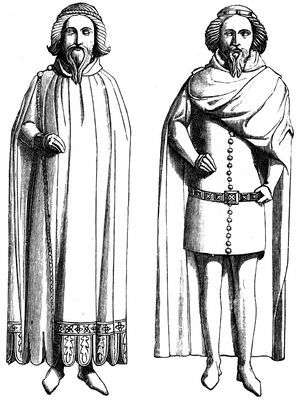 Showing the arms of Edward III and his sons. Left to Right: Edmund, Lionel, Edward, William, John, Thomas.